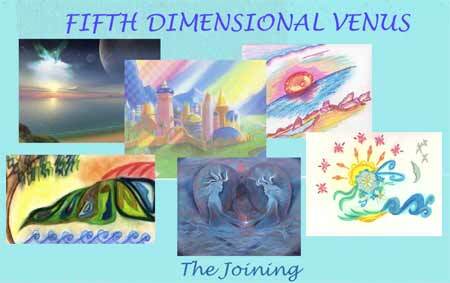 Being on fifth dimensional Venus reminds you of how you and your Divine Complement came as ONE Being from the higher dimensional worlds to prepare for your incarnation into third dimensional Earth. It was during the fall of Atlantis, and Gaia had sent out a call to Beings of higher dimensional Light to assist her. The darkness of her people had overcome the light, and her planet was in danger of destruction. You were one of the volunteers who had answered her call and were studying in fifth dimensional Venus for your incarnation on Earth. No matter how long your preparation, however, you discovered that you were not ready for the limitations of a third dimensional reality. You later learned that these limitations were easy compared to being without your complete SELF. Now, after so many third dimensional incarnations, it feels unusual to again be ONE with your Complement or, as some say, your Twin Flame. It took many Earth years before you and your Complement could release your deep grief over living as only a portion of your Multidimensional SELF. The moment that you were separated from your Complement was the moment you first experienced a reality based on polarities, with all the illusions of separation and limitation of third dimensional life. Gaia is again on the verge of a transition. Fortunately, this time her frequency is rising into the fifth dimensional resonance, and many of the members of the Planetary Ascension Team, such as you, are here to become re-accustomed to holding the frequency of the fifth dimension. In past incarnations you have ascended into the fifth dimension and beyond after “death,” but this ascension is quite different. For one thing, you are dedicated, also, to the ascension of Gaia and all her inhabitants. For another, you are planning to create this ascension without the experience of death. In other words, you are practicing to gradually adapt your personal and planetary forms to a fifth dimensional resonance. You do this because you want to participate in Gaia’s transition into the fifth dimension as a seamless shift into a higher frequency reality. You are now on fifth dimensional Venus lying on a beach of pink sand as ONE Being of Light, united with your Divine Complement. The Waters of Light caress your feet, grounding you into the matrix of this hologram of fifth dimensional Venus. You stretch your Lightbody, and a million sparkles fall onto the pink sand. You can feel the consciousness within every grain of sand and pebble, as well as the aliveness and intelligence life force of the air that cycles through your Lightbody with every breath. You are fully aware that all matter and substance is an elaborate illusion created for the opportunity to commune and communicate with All That Is. Because the fifth dimension is a “half-way house” between the worlds of form and the worlds of formlessness, the holograms created here are often based on the forms and structures of the lower worlds. Hence, your Lightbody is often in the same humanoid form that it took while on Earth. However, in the fifth dimension you are not bound to that form, and you are at liberty to alter your body in any way that you desire. If you wish to experience flying, you could grow the wings of an eagle, or become a bee. You could also float to your destination, as there is no gravity in the fifth dimension. When you choose to travel inter-dimensionally to higher dimensional worlds you often take the form of a speck of light or a Star Being. Your Lightbody’s “skin” is translucent and glimmers with light, but it can look denser if you prefer. You are usually about ten Earth feet tall and, since you are composed of light, you have no weight at all. In fifth dimensional realities, you live in the ever-present NOW and are always in the Here-ness and Is-ness of that infinite moment. When you separate into two masculine- and feminine-gendered Beings to study in the Crystal Temple, your Lightbody still exists, but it “phases out” into a higher frequency until your two polarities merge into ONE. However, it never ceases to BE, as it is infinite and immortal. You separate into male and female while in the Temple, because that is how you came here through the Arcturian Corridor. Also, you and your Divine Complement have different responsibilities in the Planetary Ascension Team. Fortunately, while you are in the fifth dimension, you are in constant contact with your Complement. You can’t help but think how much easier your incarnations on Earth would have been if you could have had that contact. If you are awakened in your third dimensional reality, you can sometimes communicate with your Complement via your Multidimensional SELF. The Waters of Light have cooled and the Sun hugs the horizon. It is “time” for you to separate again into “The Two” and resume your individual Temple studies. As the ONE Being, you stand and stretch your long arms toward the top of Red Mountain. Your glowing, golden form expands slowly, growing wider and wider until you take on the form of two pyramids attached at their base with the masculine peak reaching towards the sky and the feminine peak grounded towards the heart of Venus. As the upper peak opens, the double pyramid slowly separates into two spirals of light. The spirals look like spinning golden vortexes. Gradually, they unwind into two golden stars. Slowly, arms, legs and a head form from the stars, and two separate Beings emerge. You and your Complement raise your hands to the level of your hearts and touch each other, palm to palm. You lovingly look into each other’s eyes, and, with a quick kiss and a smile, you return to the Crystal Temple as two Beings, joined by unconditional love. In the beginning, Beings of light without form or individuality created an egg of matter and polarity. Each of the many, who are actually the ONE, embedded a “copy” of their Essence into the egg, also known as the planet. For many eons, the Beings of Light wore the myriad forms that existed on and within their egg/planet. At first, the entry of their great light was all but extinguished in the great density of the egg. Then, slowly, over many millennia, the spark of their light began to glow within the dense matter of their form. For more millennia this glow was a secret held deep inside the Beings’ form—a secret, even to the Beings. Finally, this glow crossed an unknown threshold where even the Beings began to feel the glow, even though they usually did not see it. In fact, the Beings were most likely to place the source of the glow outside of their selves and even outside of the egg/planet. At this point, the Beings were likely to worship the glow, which was slowly transforming into a light. Millennia later, some of the Beings began to awaken to the knowing that the source of the light was actually within. These Beings were frightened by this inner light and usually hid it for fear that others would see the light and also be frightened. In this reality, the newly awakened ones were correct in this assumption, for indeed, many were harmed for daring to recognize that the Light was within. It was dangerous to hold this light that the “others,” primarily the leaders, believed they did not possess. It was a shame that the leaders judged those with the inner Light, for they, too, had an inner Light that was hidden behind their fear and their blind worship of an “external” source of Light. Wars were fought over whose external light was the best, the most correct and the strongest. During these wars, many Beings died. It is too bad that those who died didn’t know they possessed an inner Light. If they had known, they could have burst forth into a body of Light, much greater than the weapons used to kill them. Then, no one and nothing from the egg could have destroyed them. If they had been able to burst forth into their body of Light, they would have seen that their egg was an incubation chamber. They would also have known that they could hatch from this egg as soon as they could allow their inner Light to burst forth. Unfortunately, some were so frightened by their Light that they tried to resist it, and they often damaged their form. The inner Light was of a frequency much higher than the matter of the Beings’ form. If the inner Light was not recognized and slowly incorporated into their every cell and atom, their bodies could be damaged. This incorporation demanded that the Beings maintain a conscious recognition of their inner Light and a constant vigil of their thoughts and emotions. Fear was the only enemy, for it closed off the Beings’ awareness of their own inner Light. Without the Beings’ patient and constant integration of the Light into their form, as well as the release of old patterns, memories and thoughts of fear, the emerging Light would, again, become unconscious to the Beings. When this happened, the transformation of matter back to Light progressed in a chaotic manner that caused damage, and even death, to the form of the Beings. Of course, the return to the ONE was seen only as “death” to the Beings and others who still denied the truth that they were returning to their true form of Light. Unfortunately, those who observed the presumed death often became more frightened. In turn, their fear denied their ability to see that their own symptoms were actually an awakening. Hence, they too became sick or damaged or even died. Fortunately, there are certain portals of awakening, one of which your planet is now entering, where the illusion of reality as an egg/planet weakens. These portals are like birth canals in which the Beings can slowly and safely become aware of and integrate their great inner Light. Within the portal there is also a weakening of illusion, and the Truth that this egg/planet is actually an elaborate incubation chamber is revealed to those who are able to see. The portals served as a safe place to awaken. In order for the Beings to see the parting of the veils of illusion, it had to be relatively free of fear. What “relatively free of fear” means is that the Beings had gained some mastery over their thoughts that created fear and released most of their residue fear which had become embedded in their form. With freedom from much of their fear, and being within the safety of the portals, the Beings could more easily remember the unconditional love of the ONE. You may wonder why we have used the term “Beings” instead of people. As the veils of illusion were slowly, or quickly, removed it became evident that the Original Beings of Light created everything. These Original Beings had sent down a copy of their Essence into all the matter that created the form of the egg/planet. Hence, animals, insects, rocks, water and the fourth dimensional Elementals all held the Essence of these Beings of Light. Furthermore, you may think that we, the Arcturians, are talking about Earth when, instead, we are taking about all the planets of our Star, Arcturus. Yes, dear ones, when you are fully awakened, you will know that all planets, and even Suns, share your process of ascension/hatching from your egg. However, different worlds may have different “dramas” of awakening. As your personal, planetary and solar eggs begin to hatch, the myriad Beings of Light who volunteered to take form will emerge from their egg in a great burst of Light. 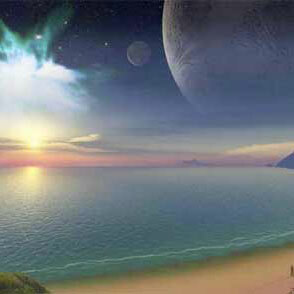 When we, the Arcturians, began to hatch, only a few felt secure enough to leave the comfort of our egg/planet reality. But, as we did so, for the first time since we had taken form, we were shown the true meaning of unconditional love, divine peace and the Unity of the ONE. Filled with the glory of love, peace and unity, our only thought was to return to our egg to assist all our brothers and sisters in awakening. Most of us returned to the type of form we had taken. For example, those of us who had been the form of what you call human, returned to awaken humans. Then, there were those who had lived in the form of animals who returned to awaken the animal kingdom. Those who had been plants, returned to awaken plants and those who had made up the earth, air, fire and water returned to their element to awaken the very planet. Those who had remained in the fourth dimensional aura of the planet, returned there to assist in that reality. The most glorious moment was when ALL of us, whether human, animal, plant, planet or either, returned to ONE great Being of LIGHT. After millennia upon millennia, we emerged from our Cosmic Egg as the Beings of Light that we had always been. Even better, because of our adventures in form, we were wiser, more powerful and more filled with an unconditional love and compassion then we ever were before our experiences in matter and form. Together, as a group mind, we looked down at our egg/planet/solar system/star in gratitude and love. However, we did not need to return to our egg for, as the ONE Being of the collective light of Arcturus, we knew that our destiny was to find other planets, solar systems and stars who were also on the threshold of awakening. We decided to wear a form of Lightbody if we chose to reveal ourselves. From being in form ourselves, we knew that other Beings of form could more easily accept our assistance if we presented the illusion of a body. Also, we had been in form for millennia. Therefore, for more millennia, we held a form much as you would put on clothes or enter your home, office or car. This form made it easier for awakening ones to perceive us and place their attention on our message. However, even with our illusion of form, many could not perceive us. Therefore, the most courageous and daring of us made the ultimate sacrifice of incarnating into a physical body to assist planets on the edge of a portal to ascension. Since dear Gaia, the collective Being of the egg/planet Earth, wanted to return to Lightbody, but a majority of Her Beings were still profoundly asleep, we sent many of our Arcturian Beings into the form of humans. We chose the form of human because the animals, plants, land, sea, fire and air were ready to hatch. Unfortunately, the Beings in human form were filled with the fear of a reality based on conquest, possession, power-over others, judgment and blind faith in the illusion that their Light was from an external source. Many of us entered human forms at the last portal opening, the reality of Atlantis. Unfortunately, we were too late to awaken the humans, but we were able to assist Earth enough to save Her from destruction. Our brave volunteers then entered the wheel of life and death that surrounds each egg/planet before it hatches. Many of them—that is, many of YOU—were lost for many lifetimes. However, because of your innate Arcturian essence, you were among the first to hear our call to awaken. You were then among the first to begin your process of returning to Lightbody. One-by-one you found your personal means to awaken other sleeping ones. Some of you concentrated on healing the great damage the humans have done to the planet. Others focused on healing the damage done to the plant and animal kingdom, and others focused on awakening humans. To make it easier for planets to awaken, we created the form of the Arcturian Corridor, so the portal could be more obvious to the awakening ones. Please be aware that all Beings are not in humanoid form. However, a precursor to planetary ascension is that the planetary stewards—whatever their form—turn their attention star-ward, so that their consciousness can expand beyond personal, collective, planetary, galactic and into cosmic consciousness. It is the cosmic consciousness that signals a readiness to hatch from the egg/planet and return to Light. Some stewards hatched early to become Avatars and awaken others. Unfortunately, most of them became “gods,” and external forms of Light to the sleeping ones who could not believe in their own inner Light. However, the message of these Avatars has served as a Light to hold onto in the darkness of a reality filled with fear. Most unfortunately, the ones who are sleeping believe their “god” is better than other gods and use this belief as an excuse for conquest, possession, power-over others, judgment and war. This cycle seems to repeat in planet after planet. It is common that directly preceding a planetary awakening that the unhealed wounds, formed by a millennia of fear, fester into wars and destruction. You are currently experiencing that now. In fact, your last one hundred years have been filled with wars. However, those of you who are on the first wave of awakening have released your old wounds of fear. Hence, you are able to feel Divine Compassion and unconditional love for those who still suffer from the illusion of separation. It is because of this illusion of separation from each other and from the ONE that they create, or are the victims of, violence and war. In fact, some of our very brave ones are actually serving within the very heart of wars in order to create the consciousness of unity in peace. We also acknowledge the sacrifices of the everyday warriors who constantly do battle with their fear to maintain an inner essence of unconditional love. To all these spiritual warriors, we offer our great Light, the unified Light of ALL Arcturians, to assist you in the magnificent moment of return to your Lightbody SELF. In January of 2009, we came to this channel wearing the “form” of the Arcturian that she IS. We then showed her how the illusion of form can burst into Lightbody. Each of you can also meet your Arcturian SELF, or perhaps your SELF from Sirius, Pleiades, Andromeda, Orion, Antares or elsewhere. In fact you all have many higher dimensional expressions of your SELF in many Galaxies and dimensions. In fact, the Galactic Federation, which included all of the above Star Systems, and more, is here to meet you now. We rejoice to see you here in the Crystal Temple of fifth dimensional Venus under the wise direction of the Arcturians. We, the higher expressions of your SELF, have also overseen your journey of becoming your ONE SELF. Every time you integrate a new aspect of your Multidimensional SELF into your perception of SELF, your greatly expand your consciousness. Many of you have expanded your consciousness and raised your resonance enough to remember some of your fifth dimensional lives, as well as some of your experiences of ascension. Because of this amplification of your resonance, we, the Galactic Federation, are now able to openly communicate with you. Once you, a grounded Being, resonate to a frequency of unity, you are able to receive transmissions from the fifth dimension and beyond. We then become very interested in your development in the Light and contact all your higher expressions of SELF so that they may personally assist you. With your first inter-dimensional communications, it is easier to connect with a higher expression of your SELF, for you are of the same Soul frequency. Since you are able to maintain a conscious connection to a fifth dimensional expression of your SELF, we know that you are ready to join our Federation. Hence, even though you are still holding a vessel on third dimensional Earth, we have come to you today to welcome you to the Galactic Federation. It doesn’t matter if you see your self as “only” human, for we see you as the great Multidimensional Being that is your true expression of SELF. We have introduced ourselves to you to make it easier for you to connect with our frequency. In this manner, you can more clearly receive our messages and translate them into your human language center. When you were still functioning under the control of your ego/self, you were bound by the limits of your third dimensional rules of polarity, time and space. On the other hand, now that your Soul/SELF is flying your earth ship, your reality is currently fluctuating up and down in resonance as you constantly adapt—and re-adapt—to the extremely high frequency torsion waves that are now ever-present in your reality. From our resonance in the fifth dimension and beyond, we can clearly see all the millions of you who are awakening to the adventure of planetary ascension. As more and more of you are able to receive our communications, we will be increasingly able to transmit messages and instruction to our grounded ones. To the degree that you are able to accept and integrate our higher vibration into your earth vessel, your life will increasingly resonate to the fifth dimension and beyond. There are those of you who do not wish to return to your fifth dimensional home in the land of unity, peace and unconditional love. To those of you who are not ready to leave your homes, your loved ones, your careers, your pets, etc. do not be concerned. There is no loss, because there is no leaving. Instead, you are transmuting the very fabric of your reality from the dualism of the third/fourth dimension into the unity of the fifth dimension and beyond. You can “alter your reality” as quickly or as suddenly as you desire. This is your ascension. You have practiced for this moment in myriad lifetimes, and/or waited beyond time to participate in this grand moment. Look not to what is happening outside of you. Instead, concentrate on what is happening inside of you. Transmutation begins at the level of personal and planetary DNA, then progresses into your physical body and third dimensional reality. One warning. Whether or not you believe it, YOU are creating your reality. There is no hiding from this fact, no matter how much you doubt yourself. Doubt and resistance will only make your process more chaotic. It is best that you own your power within and remember that with this power comes added responsibilities. The best way for you to proceed is to focus primarily on your consciousness. Listen to the voice of your Soul/SELF who guides and leads you throughout every moment. Simultaneously, recognize the illusions of fear and separation, as you choose to attend, instead, to the Truth of love and unity. Sleep and meditate as often as possible so that you can release old limiting beliefs and allow the seed of your Lightbody to safely grow within you. When your Lightbody was off-line, you could see reality only through your five senses, but now your expanded perceptions are steadily increasing. As your Lightbody grows stronger within your physical form, it will serve to filter-out the illusions of the third/fourth dimension and filter-in the truth of the quantum world and the fifth dimension and beyond. Your quantum world will be perceived by your DNA, specifically your junk DNA. The 97% of DNA that has been labeled “junk,” as its role was then unknown, carries myriad inter-dimensional wormholes, which receive messages from the quantum world. At the same time, the many scalar/torsion wave systems within your earth vessel will receive the higher frequencies of the fifth dimension and beyond. Your opened Third Eye will then translate these transmissions into your human language so that you can share your message with others. Your grounded, earth vessel actually serves as an antenna, which can receive only the frequencies to which it resonates. Hence, as your personal resonance expands, you can receive transmissions from deeper within the quantum world and further into the higher dimensions. Eventually, you will come to the connecting bridge where the deepest quantum reality merges with the highest frequency reality to release all need for space, time or form. However, please enjoy each step of your exciting return to SELF. You have chosen, in fact, you “stood in line” to take a body at this time. In the same manner, we have elected to “stand in the wings” to assist you in remembering that you are acting in a grand play, as well as to celebrate your grand finale. Now that we have made “first contact,” we want you to remember that we are available with a thought or an intention. We also wish to remind you that the best carrier wave for any transmission is unconditional love. Therefore, we close our message by sending you unconditional love and a rousing applause for putting on a fantastic show!! The Galactic Federation, and specifically the YOU within that Federation, is here to assist in releasing the lowest resonance of your SELF, your “Wounded Survivor.” We the Arcturians are here to guide you in this exercise. Your Wounded Survivor is the part of your grounded, Multidimensional SELF that holds the sum/total of all the memories, thoughts and emotions of all the years that you have sought to survive in the hostile environment of third dimensional Earth. Your Wounded Survivor holds the fear-based experiences of barely surviving the many challenges that you have faced in this, as well as, your other lifetimes. Hence, your Wounded Survivor may be too fatigued to go that last round of your process. This fatigue can make it difficult for you to raise your resonance above the many temptations and cause you to attend to fear-based stimuli. This wounded component of your SELF has been a brave warrior and has fought tenaciously for your right to a happy life. However, the memory of all these battles may be holding down your resonance. We wish to tell you that you can release your Wounded Survivor into the light of this Corridor and allow it to ascend now. We are proudly observing how many of you are holding back your personal ascension so that you can contribute your expanding consciousness and unconditional love to the planetary ascension. In this manner, you are greatly contributing to the great cosmic moment in which Earth, your Solar System and all the Milky Way Galaxy will “graduate” into the next highest expression of SELF. The “individual” people are now becoming a Planet, while your planet Earth is becoming a Star, your Sun is becoming a Central Sun and your Central Sun is becoming a Greater Central Sun. Yes, soon there will be a graduation of cosmic proportions. However, you may feel like some one is holding you back. Some part of you is just too tired to make it past the finish line. This YOU is your Wounded Survivor. This YOU deserves to cross over now, today, this moment, and we are here to show you how this can happen. Please take a moment to look into the eyes of your Intergalactic SELF, the higher expression of YOU, who is among the Galactic Federation. Allow this you to step forward from the ranks so that you may align with the great, Multidimensional Being to whom you are returning. We say returning, as you have never lost your SELF. This great Being is actually your Original SELF who sent a copy of it’s essence into your third dimensional hologram. This “copy” is you. Your Intergalactic SELF is the YOU who has already been through the planetary ascension and has come back in time to assist you in your NOW. We realize that this sentence can be quite confusing to your third dimensional language system. In reality, this future component of your SELF is beyond time and space, as it/he or she is the YOU who lives in the ever-present NOW of the ONE of the fifth dimension and beyond. The resonance of this Future SELF before you will expand even more when you join it fully at the time of your planetary ascension, As you re-unite with your SELF, you contribute the many lessons you have learned in your many lifetimes as an “individual” in a polarized reality. The Sun is high in the Venusian sky as you leave the Crystal Temple. You feel elated from your experience of releasing your Wounded Warrior and rush to the pink sands to again unite with your Divine Complement. As you float towards the cliffs overlooking the Waters of Light, you feel your Complement waiting for you. Your sojourn into the separation of the third dimensional Earth realities has been challenging, and you long to again become ONE. You feel the cool pulsation of the Waters of Light as you approach the cliffs overlooking your special cove. In your Venusian light body, you have 360-degree vision, so you take a moment to absorb the panoramic view. Behind you is the Crystal Temple high atop the Red Mountain. You see many of your dear friends still entering and leaving through the Temple’s Diamond Doors. The beautiful flowers of the magnificent floating garden surround the Temple. These flowers radiate fifth dimensional colors that are not known in the lower worlds. 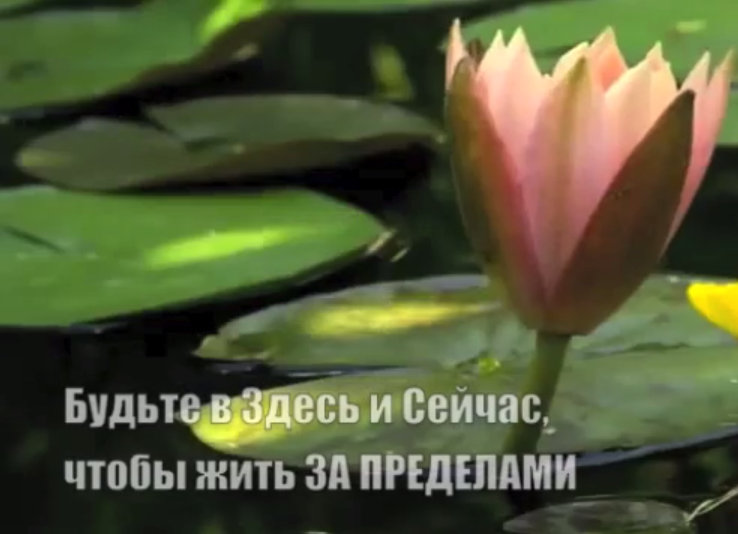 The flowers, as well as their plants, have intelligence, as does all life in the fifth dimension. Fairies and other small creatures live in the garden, and all of this life telepathically communicated with each other and with you. Off to your right is the radiant multicolored glow of the Crystal City, and to your left is the evergreen forest and small towns where the Venusians live when they are not visiting the Crystal City. Deep love and contentment fill you, as you take in the Venusian landscape. During your many Earth lives, a great wound was created in your heart and in your consciousness. You released this wound in the Temple, but you feel you will need to continue to love it free. Perhaps, when you join into ONE again, you will be able to totally release this wound. As you arrive at the cliff, you peek over the edge and see your Divine Complement waiting for you on the warm sands below. You take a moment to absorb the beauty around you before you go down to join your Complement. You have spent so much “time” on Earth that you have to remind your self that on the fifth dimension you can float down there as gracefully as a feather. You can also fly great distances, if you choose. You can will yourself to a desired location, as well, and be there instantly by focusing your intention on that experience and surrendering to its pull. You smile, remembering how hard you had to work for whatever you wanted in your third dimensional lives. On the other hand, in the fifth dimension you can instantly create any experience, object, or location that you desire. As you breathe in the warm emanations from the Waters of Light, you desire nothing more than to be ONE with your Complement. You lean forward over the cliff and allow these emanations to carry you to the shore. Your Complement stands, arms open so that as ONE you can heal the old scars that had been opened by your individual visits to the third dimension. “Let us merge into ONE,” you say. “I want the memory of our merging to be strong in my heart when I return to the third dimension.” You face each other, eye-to-eye and heart-to-heart. Raising your hands, you placed your palms together to create a circular connection from one heart to another. You stare deeply into each other’s eyes and feel your frequency accelerate as you connect your auras into one. You can feel a tingling that starts at the tips of your toes and gradually rises through your bodies, joining two halves of a whole into one complete unit. By the time the tingling reaches your joined hearts, you are floating higher and higher in the Venusian atmosphere. Then, suddenly, there is a flash of light, and you are deep in outer space. Venus is a glowing orb far beneath you, and you are ONE speck of light surrounded by many stars. Gradually, one star comes closer and closer. You float towards it, as well. The star becomes a swirling vortex directly before you, and you are pulled into it. You feel a spiraling sensation as the vortex surrounds and transports you. In a burst of light, you are in the sixth dimensional solar system of Arcturus. Once within the solar system, a certain planet pulls you toward it, then in a flash, you are there. The inhabitants of this planet live in units of thirty-two to forty, known as pods. The members of each pod are individuated consciousness joined into ONE unit. The pod to which you are drawn has created a hologram with a rhythm of inflow/night and outflow/day in preparation for their planned mission to come to Venus and, eventually, to Earth. It is early dawn, and the Sun is just rising above the horizon, heralding the beginning of an outflow cycle. Gaia has called for assistance again. She is ready to raise Her resonance into the fifth dimension, but too many of her humans still sleep. This pod will first journey to fifth-dimensional Venus to become accustomed to the lower vibration. Some will then move on to third dimensional Earth when they have learned to survive in a lower density, and some will stay on fourth and fifth dimensional Venus to act as guides for those who travel to Earth. All the members of the pod are like the fingers of one hand. Each is individual in the collective consciousness, but unified in awareness and purpose. All are androgynous. In fact, they are beyond the concept of gender, as it is known on the lower dimensions. The adventure of answering Gaia’s call is beginning. Their leaving holds no fear or sadness, for these emotions will not be a part of their awareness until they enter the third dimension. You feel a harmonic resonance with this pod and especially with one portion of this united pod. Could this portion of the ONE pod be a higher expression of your SELF? In response to your question, this portion moves out from the ONE and creates a form. The form is made of light and looks like a star that a child would draw. There are two radiations that come down from the middle, somewhat like legs and two radiations coming out from the middle, somewhat like arms. The form has a glorious crown of radiance, reminiscent of a head, and where there would be a heart is a vortex, much like the Arcturian Corridor. This form is fluid and mutable and seems to exist only to impart a message to you. Yes, you suddenly KNOW, this Being is a higher expression of you, which usually exists as formless, pure consciousness. The ONE of you and your Complement move toward the “Star Being” in acceptance of its communication. As you merge into its essence, you burst into myriad expressions of Light. Instantly, the Star Being is gone, Arcturus is gone, all form, all thought, all emotion—GONE! Back on Venus, you and your complement are again two. You drop your hands and look into each other’s eyes, your own eyes, and smile. The Journey continues next month. Please stay with on our inter-dimensional journey.